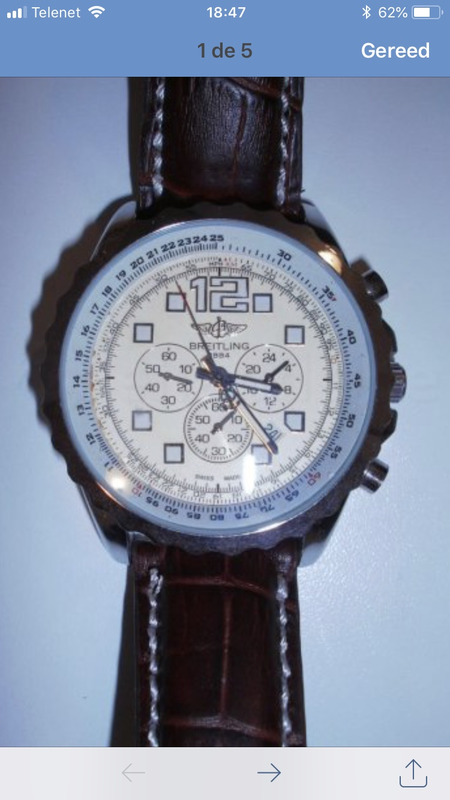 The Breitling Watch Source Forums • View topic - Fake or real chronospace? Post subject: Fake or real chronospace? Looking for. Vintage Breitling and i found this one on the internet. I’m afraid this is a fake one but i would like to be sure because i’m interested in this kind of model. If it is genuine, could anyone tell me which year this has been sold by Breitling and also what it’s worth nowadays? I don’t have any better picture. Post subject: Re: Fake or real chronospace? Hi there, that one is a fake. Thanks a lot Zak! The real ones look indeed much better! No worries, check on the Chrono24 website and the ‘sold’ listings on eBay to get an idea of prices. You are in the VINTAGE section here ! There is a specific section for modern Breitlings , real or not.